It's a new year and some of you are making decisions to better yourselves. Some resolutions are to look good, feel good and do good. If you have short hair like me, extensions are the sure easy way to get the length you need without waiting months and months for your own hair to grow. Today I am sharing a hair extension sponsored post with you all. 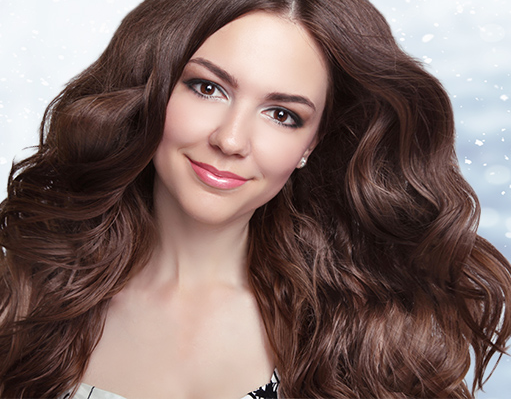 "I have very light and thin hair, but I have never tried out any kind of Cheap hair extensions. I have been always confused to get the right extension for me which match with my hair colour and suit to my style. My hair was dark black and thick before but since when I've started losing weight I'm also losing hair and noticing my hair is getting thin. This new year,I have many party.So I was looking around to find out the best hair extension selling site and headed over the besthairbuy and found it amazing with huge range of hair clips, hair pieces and extensions. CC HAIR EXTENSIONS is the winner.I thought to share with you all It may help you to get you a best hair extension according to your style. CC HAIR EXTENSIONS is a site selling high quality hair extensions in wholesale price. I headed over the site while scrolling around and found it amazing with widest range of many beautiful style of hair extensions. They have huge range of clip in hair, Micro Ring/Loop Hair, Tape Hair, stick tip hair, nail tip hair, hair weft, PU Remy Hair ,and Indian remy hair are all 100% Human Hair and comes in all lengths, styles and various colours. I'm amazed to see the thousand different style hair extensions in all shades, colours and type. A best thing about the site is the hair extensions are human hair. They are soft smooth Moreover If you receive damaged products they will gladly provide a refund or replacement, upon receiving proof of damage. Returns and Exchanges will only be accepted if they are requested within one week of receiving the items. CC HAIR EXTENSIONS is a good choose". That's it for now darlings. I have been thinking about buying from here, have you tried them personally? I really appreciate this post. I have been looking all over for this! I found this site on Google. It was excellent and very informative. I have read a few of the articles on your website now, It's really a great and useful piece of info. Nice & interesting articles, I really like reading on this blog, your idea is more helpful for me and to the other as well.